Google, Bing and Yahoo apparently haven't convinced brands they need to build separate Web sites for access from mobile devices, because some marketers still think about repurposing desktop Web sites through a technique called responsive Web design. Responsive media, or Web design, means designing a Web site once, and formatting the content to accommodate access by multiple devices, from desktop to mobile. The technology isn't new, but the concept of using one set of code to do multiple tasks has grown. Through fluid grids, flexible layouts and media queries that allow designers to create specific layouts for devices, companies should be able to reformat desktop sites for access by mobile phone and tablet devices, according to Ethan Marcotte, a Boston-based Web designer and developer. Despite the fact that big companies pull their weight behind parts -- or all -- of the concept, not all search engine optimization (SEO) experts agree. The theory makes content available from one site to everyone who accesses the content from any device. But the interest driven by a low-cost implementation and maintenance fees has its shortcomings, according to Bryson Meunier, director of content solutions at Resolution Media. Some have called responsive design a solution to the problem of mobile SEO, although Meunier believes a mobile first solution is more competitive in organic search. Meunier said Marcotte never meant for responsive Web design to replace mobile sites. These sites should accommodate different goals from the user, and companies need to design Web sites that are specific to mobile. When it comes to search engine optimization, "if there's a lot of additional mark-up on the site that needs to be suppressed to deliver the content users want to see, it will slow down the site and possibly deliver the wrong content," he said. 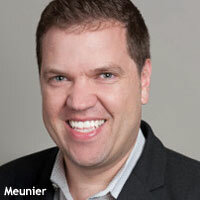 Providing a better mobile experience often requires specific mobile keyword research, Meunier said. State Farm Insurance and Esurance Car Insurance have content on their mobile sites that doesn't exist on their desktop sites. Having different content would not be possible with responsive Web design because the idea means using the same content formatted differently. Most people who search for information from these brands on a mobile device look for accident resources. "About 75% of mobile-query volumes related to these companies want towing services," he said, adding that the two companies highlight accident resources prominently on their mobile sites. Meunier is concerned that hundreds of companies are investing in a temporary solution that marketers believe is permanent. He also believes continued growth of responsive Web design could stall growth of the mobile Web if searchers aren’t finding what they need. "Link equity doen't enter into the equation similar to desktop search," he said. "In mobile search, Google, at least in December, had an update called old possum that allowed Webmasters to indicate with a redirect code the correct version of the page that should appear in mobile search results." The biggest problem with repurposing desktop sites into mobile is that search behavior on tablets and smartphones is different. Sites that are simply reformatted versions of the desktop are not likely to address all the needs of the mobile consumer. 2 comments about "Mobile SEO Separate From Responsive Web Design ". Matthew Snyder from ADObjects Inc, March 24, 2012 at 2:03 a.m.
Laurie, thanks for this great article! It could not be more timely. This topic is very close to my heart as I have been involved with mobile and mobile web since the late 90's. The key here is the evolution of browsers and the convergence with HTML5/CSS3. Now that these tools exist for web developers, having a separated silo'd mobile site built on a separate CMS is totally not needed and will only partition you from the real value of the web via both social, search and overall content publishing processes. I have been building out mobile websites for years for many clients and when the RWD ( Responsive Web Design) discussion became active in 2010, it was more then an awakening moment for me with what we could do with clients. Having a great mobile web user interface and using Responsive Web Design are not mutually exclusive. It is like the "Sword" and the "Sword Master. As many of the Interactive Web Designers that are now embracing Responsive Web Design have not had years of experience in mobile UI design and how to best layout content with the right context, there seems to be a total misunderstanding about the topic. This will take time, as more mobile web design experts embrace RWD and drop proprietary platforms you will see the great and mobile specific designs with RWD... A good case-in-point is http://starbucks.com. There is no better then that brand to embrace a mobile strategy and their layout with Responsive web design crosses the t's and dots the i's. So when it comes to SEO, Marketers are spending $$$$ on there web strategy, why should they have to do this twice, or three times with Tablets as well. They should rather extend additional over the top strategies for content matching, keyword strategies for mobile with the same site and URL. So agreed that SEO for mobile with have certain key attributes based on the context and keyword placement and there are many key strategies we embrace with Responsive Web Design to lift the results as well for mobile. I just spent a couple of days here in NYC at SES ( SearchEngineStrategies Event) and it is clear to me they way to go with the right Web strategy for the future to deal with the many screens and context with SEO is with Responsive Web Design. All of the widgets and plug-ins for a website will constantly evolve with HTML5 and there will be more and more responsivewidgets as well. We started to get deep in cross-screen advertising with responsiveads. I will be sharing more of my thoughts and advice on this topic via my blog shortly as well. http://responsiveads.com/blog. Thanks again for bringing this debate to the surface! Steven Arsenault from OneBigBroadcast.com, March 26, 2012 at 10:47 a.m. Very informative article. Its interesting how SEO on both mobile and desktop is very much the end game in most smart marketer's minds. When we developed our all in one marketing platform at OneBigBroadcast, since we were focused on an engine that the attract search in 100's of ways we had a different slant wih mobile. We thought the mobile device was a different device with its smaller screen and mobile user expectations. We developed a smart phone simulator that allows companies to create their own mobile web experience along with their own on the fly navigation. This way if they want to modify their the existing web experience they can view the pages in the desktop based mobile simulator and use a point and click interface to quickly create their mobile experience while seeing what is is going to look like on the smart phone device via the built in simulator. Integrated SEO tools allow marketers to focus on optimizing pages on the fly for optimum mobile search. These tools are great for events of campaigns. They create their unique mobile experience of a traditional campaign while in no time create the mobile experience,even add some interactive apps we've developed for collaboration or voting. rating, etc, adjust their SEO settings, have a look at the mobile micro site on the smartphone simulator then use the platform's QR generator to create a QR code for printing in say the magazine or newspaper to help those that was to scan for immediate access. All this can happen in minutes while the mobile is live to the mobile world. You have my vote that Mobile SEO is a separate marketing strategy if long term you want to be counted in the ranks of mobile SEO.